The Greek city of Salonica or Thessaloniki, the place where East meets West, has always been a meeting point of civilizations. The capital city of the Macedonian region, located by the Thermaic Gulf, is a perfect blend of modernity (it is the center of university life and the second city in importance and population in Greece) and a turbulent history. You will be able to see it on its streets and tavern-filled squares if you pay enough attention. The traces of different civilizations, nations and religions who occupied the city have created Thessaloniki, founded in 315a.C. by Cassander and named after his wife. The city is a charming puzzle of Macedonian, Roman, Byzantine, Arab, Christian, Ottoman, and Sephardic cultures, which have ensured its recognition as World Heritage by the UNESCO. 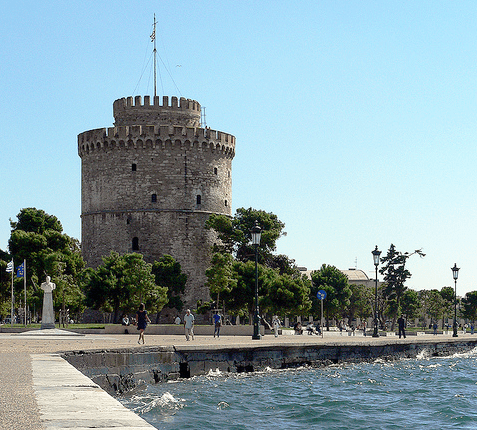 The symbol of the city is the Ottoman White Tower at the marina, which divides the city into Upper Thessaloniki and Low Thessaloniki. Shall we start? In Low Thessaloniki you can find Roman ruins, Byzantine churches, the Orthodox Cathedral… and much more. Don’t forget to visit the Roman agora, built on an ancient forum during the Roman Empire times, and the Arch of Galerius (also known as Kamara by the locals), one of the most symbolic structures in the city. 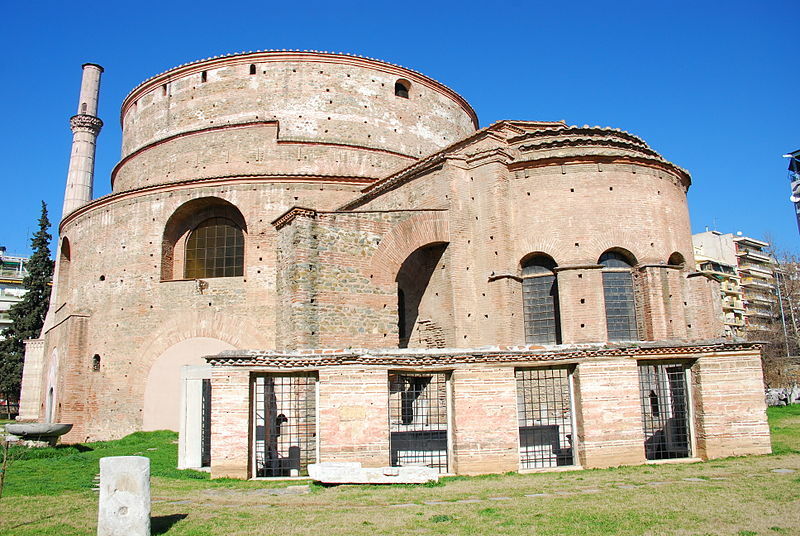 The Rotunda, a circular building that was converted into a church dedicated to St. George, is also very near and Galerius’ tomb is kept inside it. Also, the most important street in Thessaloniki, Egnatias Avenue, is named after the ancient Roman Via Egnatia, the road that lead to the Balkans across this Greek city. When the Roman Empire collapsed, Thessaloniki became part of the Byzantine Empire. 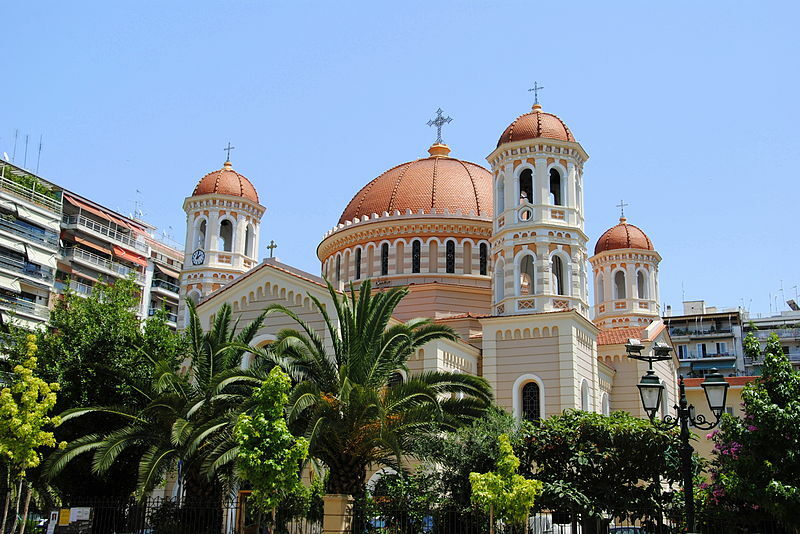 Thus, the city has the vibe of an outdoor museum, full of Orthodox buildings, including the Agios Demetrios church, a fourth-century complex with three structures in the form of a circle. The church, which used to be a mausoleum, is dedicated to the patron saint of the city and inside you can marvel at stunning fourth-century mosaics. There are many other churches that fill the city streets, including the Dodeka Apóstoloi , the Agia Katerini, and the Agia Sofia, reminiscent of another famous St. Sophia temple in Istanbul. From the gardens of the Vlatadon Monastery you can enjoy spectacular views over the city. Besides, there is also the aforementioned White Tower, an Ottoman landmark, and next to it you will see two statues that are dedicated to the most famous men in ancient Greece: Alexander the Great and Philip II . 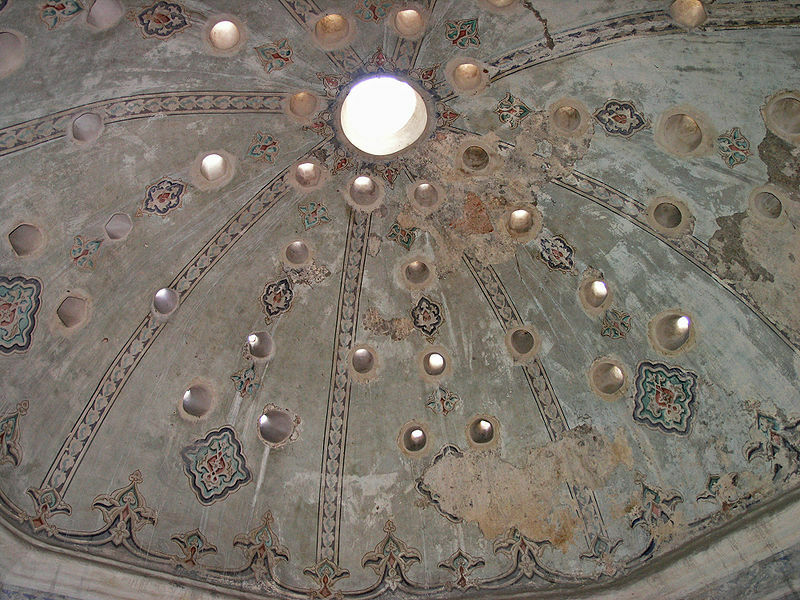 The Bey Hammam Turkish bath, the beautifully ornated Hamza Bey Mosque, and the Bezesteni building on the market square have clear Arab influences. On the other hand, the Monastiriot synagogue attests the Sephardic community who lived in Thessaloniki since the fifteenth century. Before moving on to High Thessaloniki, you need to wander in the narrow streets around the city walls that lead to the Aegean Sea. Make time to get lost in its quaint street markets, such as Kapani or Modiano, and enjoy the lively atmosphere in historic districts such as Kalamaria, Ladadika, and the Aristotelous square, full of bars and cozy cafés. By the way, Greeks love coffee and frappe is the quintessential beverage in Greece, always served with ice and some cream on top. The 1917 fire destroyed a lot of important landmarks in Thessaloniki, so the inhabitants had to rebuild the low part of the city. The upper part (Ano Poli) survived the fire and it still preserves the morphology of steep narrow streets, some parts of the old Byzantine and Ottoman city walls, and the ancient Heptapyrgion Fortress. And of course , you cannot leave Thessaloniki without tasting its cuisine. Like the rest of the city, it has Western influences (Mediterranean flavors) but also Eastern spices and condiments. Greek taverns serve strong and tasty dishes accompanied by Mythos, the most popular beer in the country. Try peinirli (similar to pizza), or the famous souvlaki (strips of meat in pita bread with French fries, vegetables and sadziki sauce, made with yogurt , garlic and cucumber). For dessert , order the typical mpougatsa (a sweet cake filled with cream and served with sugar and cinnamon). Thessaloniki, the place where East meets Wests, is a perfect blend of modernity and a turbulent history. Shall we start?